Annie's life is deliciously full as the Christmas season approaches. She helps her husband, Samuel, attend to the community's minor medical needs. She occasionally assists Belinda, the local midwife, and most days, she finds herself delivering the buggy to her brother Adam. Annie’s sister-in-law Leah is due to deliver their first child before Christmas morning, and Annie is determined to finish a crib quilt before the boppli arrives. With six weeks to go, she should have no problem... but God may have a different plan. Leah is rushed to the English hospital when the infant arrives early, and Annie discovers the Christmas quilt may hold a far greater significance than she ever imagined. 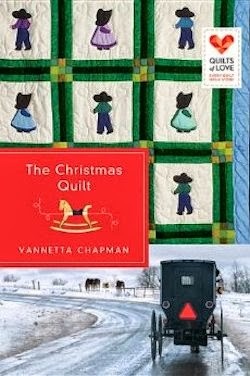 If you would like to read the first chapter of The Christmas Quilt, go HERE. There is a whole series of "Quilt" books all written by different authors in totally different settings. I've read 3 of them now, not including this one and I love the themes! I hold a BA and MA degree in English, and I am proud to be represented by Mary Sue Seymour, AAR. 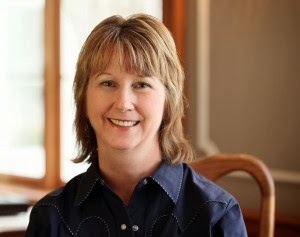 I have published over one hundred articles in Christian family magazines, and have received over two dozen awards from Romance Writers of America chapter groups. I am honored to be a member of Romance Writers of America, American Christian Fiction Writers, and Faith Hope and Love. I live and teach in the Texas hill country with my husband, cats, and a rather large herd of deer. Our four children have flown the nest; however, we are fortunate that they all live close enough to visit. I have always felt that my faith was at the very center of who and what I am, and I am thrilled beyond words to be able to now write about something that is so near to my heart. At various times I have served as a pianist, teacher, church secretary, and worship team member. While living in the Dallas area, I served as an adjunct professor of English Literature at Dallas Baptist University. When we moved to a small town in Central Texas, I continued teaching for a few years, but I now write full-time and I play the keyboard in our church’s praise band. My grandfather was born in Albion, Pennsylvania, and I am currently researching whether I might have Amish roots.